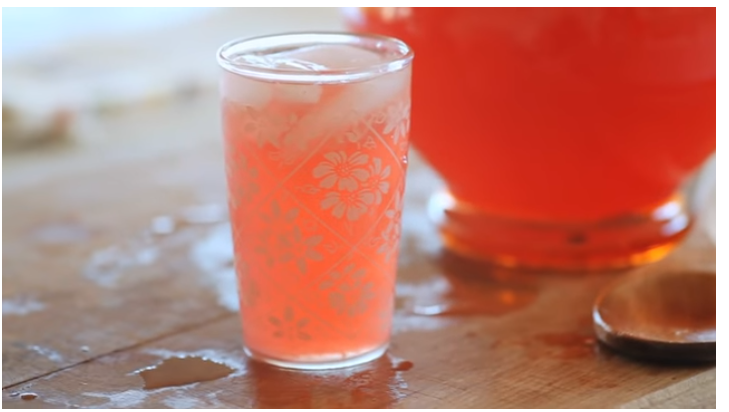 I have found that homemade pink lemonade can be a cool and wonderfully refreshing drink. Especially during the summer months when you get the urge to prepare yourself a cold glass of sweet homemade lemonade using fresh lemons. I've always been a fan of lemonade and especially when it is pink. When eating out it's the one beverage drink I order most often. The recipe for the thirst quenching drink I'd like to share with you is also a southern favorite, running close second behind homemade lemonade. The recipe calls for grenadine syrup which is made from pomegranate juice and sugar. This ingredient is used in a variety of products including cocktails, carbonated drinks, desserts, liquors and marinades. In my opinion the grenadine syrup gives the pink lemonade of this recipe a more distinctive flavor when compared to similar recipes that do not include the deciding different ingredient.